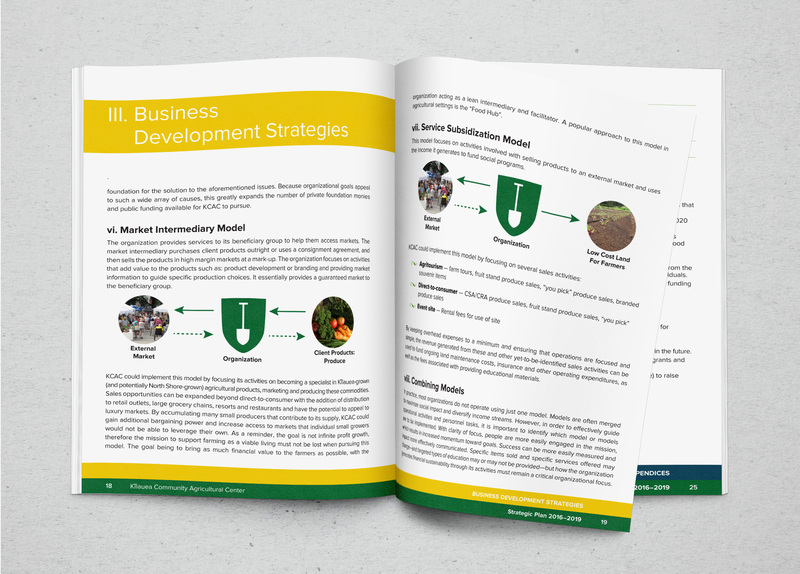 Worked with client requirements to design the page layout for this printed strategic plan. This is a text heavy document that needed to be softened with the use of images. I have incorporated ways of breaking up the text. As this document has several sections, way-finding was included using colour for different chapters. After initial design, I was entrusted to typeset the entire report including tables and charts. Client Testimony: Kassandra delivered excellent work on this InDesign document project and I very much enjoyed working with her. Her communication was top-notch, she met all deadlines, and her skills are very strong in creative design. I have received many compliments on the design of the final product When I asked for an additional milestone she was very forthcoming about her availability and timeline for fitting in the extra work. It was a pleasure to work with Kassandra and I will very likely have additional jobs for her in the future.